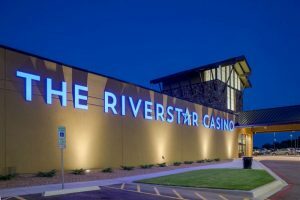 Riverstar Casino in Terral, Oklahoma can continue to provide gaming services under a federal appellate court ruling issued on Friday, local news outlet The Oklahoman reported. The property opened doors this past spring with more than 600 slot machines and six table games, including blackjack and three card poker ones. It is operated by the Chickasaw Nation. The property is located along US Highway 81 in Jefferson County, just north of Oklahoma’s border with Texas. 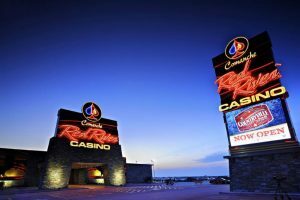 The approval of the casino and its subsequent opening have long been heavily protested by the Comanche Nation, which runs its own gambling venue just 45 miles from Riverstar. The Comanche Nation brought the matter to court, arguing that the US Secretary of the Interior allowing land near Terral to be placed in trust so that the Chickasaws open a casino was an invalid action. According to the lawsuit, the US Department of the Interior failed to determine that the nation “exercised governmental authority” over the casino site before its acquisition. An Oklahoma City federal judge sided with the Chickasaw Nation in November 2017, saying that the federal agency based its decision on the fact that while the tribe did not have a reservation, the portion of land the casino currently sits on was part of its former reservation. As a result, it could be taken into trust and used for the operation of a gambling venue under the Indian Reorganization Act. The federal judge also refused to issue an injunction that would have blocked the Terral gambling venue from opening. The Comanche Nation’s attempt to block the operation of the rival casino received another heavy blow earlier this week as the 10th US Circuit Court of Appeals in Denver upheld last year’s ruling issued by the federal judge. Commenting on the latest ruling in their favor, Chickasaw Nation Senior Counsel Stephen Greetham told the Oklahoman that they were pleased with it. He further pointed out that the Comanche Nation’s lawsuit failed to “raise any factual or legal point of merit” and that the tribe is confident the district court would soon dismiss the whole lawsuit, not just the Comanche Nation’s motion for injunction. The Comanche Nation currently operates the Comanche Red River Casino in Devol, Oklahoma. As mentioned earlier the property is located just 45 miles from the Chickasaw casino. It features a number of slot machines and table games.